This might seem to be going over the same issue as last week. It is but it needs to be fully and completely understood before we can move on.. If His nature is to heal…..the promise is that through The Christ we ARE healed and the declaration post the cross and pentecost that we the we HAVE BEEN healed then why is it not an every day happening? Do we believe that all the work has been done for us? 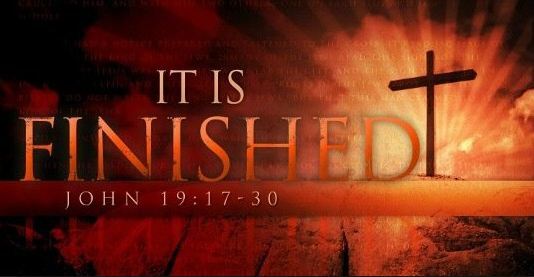 But he was pierced for our transgressions, he was crushed for our iniquities; the punishment that brought us peace was on him, and by his stripes we are healed. 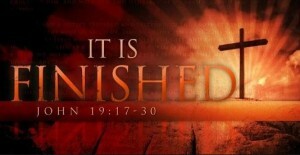 then it’s done and enacted – that’s it – It is Finished! Mmmmm!….Then why are we in the state we’re in? If we have been healed – it’s done – past tense – every sickness dealt with – All for everybody – saved or unsaved through all time…then WHY are seeing so little of the promise. …..there must be reasons why we do not see healing and miracles on a regular basis. It’s certainly not Heaven’s end of the arrangement…it’s verily verily verily from Heaven’s perspective. Consider from your experience and understanding and revelation what the blockages might be…. Next week we will start on identifying the problems….and the solutions….one at a time. Note : PLEASE do not simply read them through once…as though it is something you already know all about . Read them several times…feeding on the revealed truths and the challenges. Pray for revelation : If we are already healed why are we not seeing it? Meditate on these verse and the fact that it was included in Jesus’ plan when He came. Ask God to open it up to you. Read the verses slowly and take it ALL in. Don’t rationalise the Scriptures away. Don’t ignore them. Don’t discount them. Don’t spiritualise them. Ask yourself the following questions about the Scriptures and the reasons for His coming and the work He accomplished. Q: Do you REALLY believe at we are ALL already healed?….If that seems like hype and nonsense do not pass GO until you have at least tried to reconcile your understanding with the Scripture. Q: If that is the case how can that be? Q: What are the blockages in me? Q: Does something need to change in me?